Tops, check. Shirts, check. Denims, check. What about the shoes? Clothes do make a person, but shoes also tell the story. And if you have the spunky fun person still within you, then these quirky colourful shoes from a Kolkata-based brand are a must-have this season. If you're still on the lookout for the perfect, comfortable pair that won't cramp your style, then you need to check Studio Soli's footwear collection. Hand-painted (with wash-proof colours) and sporting fun, quirky designs, these are ultimate fashion items that can pump your style. Kitschy, folk motifs to rare embroidery replicas, psychedelic and pop art, these shoes will definitely let your feet do the talking. Pick any kind (avoid leather or PU leather ones because paint won't stick to it) - loafers to espadrilles, Mary Janes or tennis shoes - Studio Solis will give it the best makeover. They are open to all kinds of design ideas from you, and size customisations. You can get your plain shoes and get back a funky one in return! 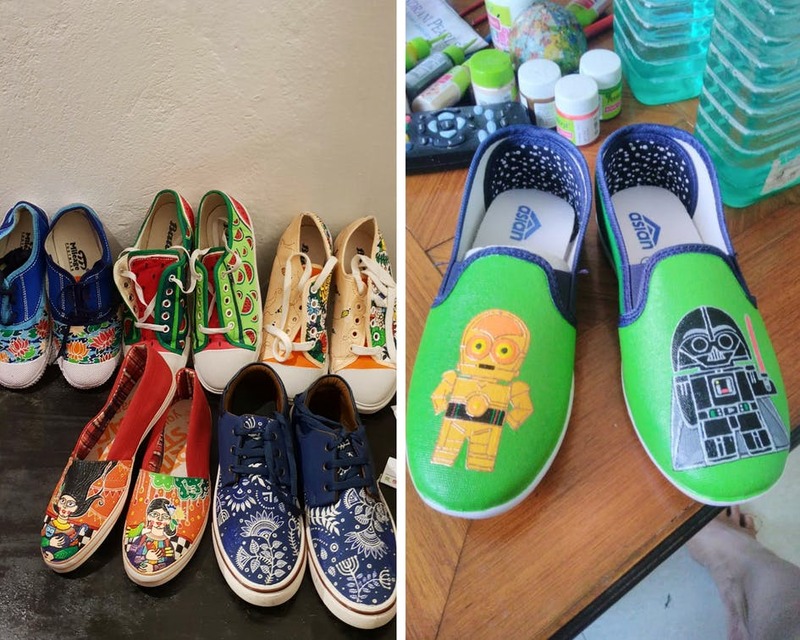 Best of all, you can also extend your fandom to your shoes (all thanks to Studio Solis) and get your fave characters or motifs painted too (check out their Star Wars collection). The shoes start at INR 1,200 and can go up to INR 2,000, depending on the design. If you have found a fave pair online, you can let Studio Solis know of it. They'll procure it for you before designing. Extra delivery charges will, of course, be applied.